Journalist Chris Forrester has reported at Advanced TV that Orion, a Russian satellite operator, is making test 4K transmissions from multiple satellites to a single antenna receiver — the test is designed to measure the ability to transfer 4K signals to a satellite dish with a multiple feed. The main satellites that Orion uses to operate its services, namely Intelsat-15 and Horizons-2 (a joint-venture between SkyPerfect JSAT and Intelsat) are both located at 85 degrees East. The Express-AM22, located in the orbital position 80 degrees East, is used as a supplementary satellite for the experiment. Depending on the results of tests on the Express-AM22, the operator could test this concept with other satellites. The company said the growth of new television formats in Russia (4K, 8K, VR) encourages the company to pay more attention to the potential of the scheme. 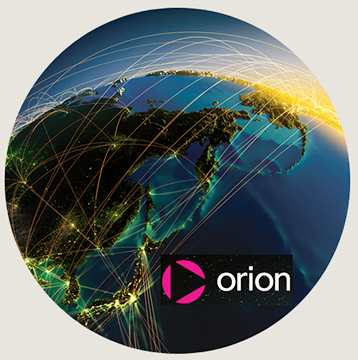 With increasing volumes of UHD broadcasting, the available capacity of one orbital position may not be enough, and Orion wants to have a technical solution to hand.